Microsoft gave up on Windows XP a year ago, but Google still hasn't—yet. The company recently announced it will continue to deliver updates and security patches to Chrome on Windows XP until the end of 2015. In late 2013, Google promised to keep supporting Chrome on XP until at least April of this year. Google did not say whether it would consider extending support for Windows XP once January rolls around or if that will truly be the end of Chrome on XP. The story behind the story: There's something about Windows XP that turns regular PC users into diehards, as we reported last April. 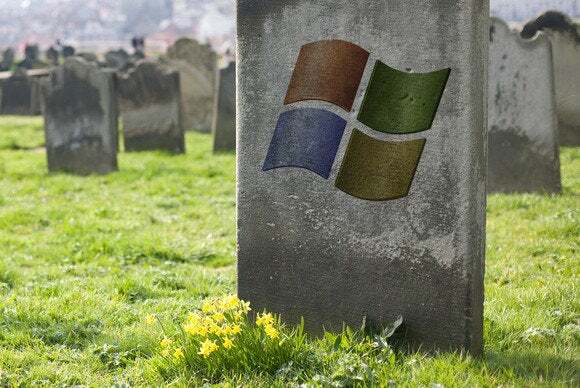 Microsoft retired Windows XP last year and XP usage has dwindled since then as users upgrade to new machines (although that is now slowing down). Nevertheless, there is still a healthy number of PCs out there running XP. Depending on whether you believe StatCounter or NetMarketShare that number is either just under 10 percent or nearly 17 percent of all online desktop PCs worldwide. Google did not explain why it's extending Chrome support--other than the obvious fact that its previous deadline was almost up--but two reasons immediately spring to mind. With Windows XP usage still in double digits Google probably decided it didn't want to leave so many users in the lurch. Chrome security updates are especially important since most malware lands on PCs via online activity, such as malicious e-mail and websites. Second, and perhaps more importantly, continuing support through the end of 2015 guarantees that Chrome users on XP will be protected until well after the Windows 10 launch. Microsoft's latest operating system is expected to hit store shelves this summer, meaning Google's XP support may also cover the initial sales period of Windows 10. Google is probably betting that Windows 10 will prompt one final mass exodus from XP and there's good reason to think that. Longtime Windows XP users were reluctant to switch to Windows 8, but it was also a very foreign OS to longtime PC users. Windows 10, on the other hand, features the return of the Start menu (albeit heavily revamped), as well as the ability to run modern UI apps in windowed mode on the desktop. Both of those features will make Windows 10 far more familiar to XP users than Windows 8 ever was. Plus, to mangle a phrase from HBO's Game of Thrones, all PCs must die. In late 2015, the combination of a more appealing OS and hard drives on their last legs may finally encourage the last of the XP holdouts to move on. But you never know. Even the user base of Windows Vista is big enough to register on the active market share charts, at around two percent worldwide. If PC users are willing to hold on to one of the most reviled systems to ever roll out of Redmond, then XP diehards may remain a sizable contingent for years to come.